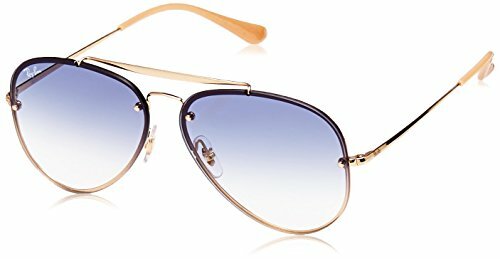 Unisex gold aviator metal shape frame. With clear gradient light blue non-polarized lenses. This style is not Rx-able.